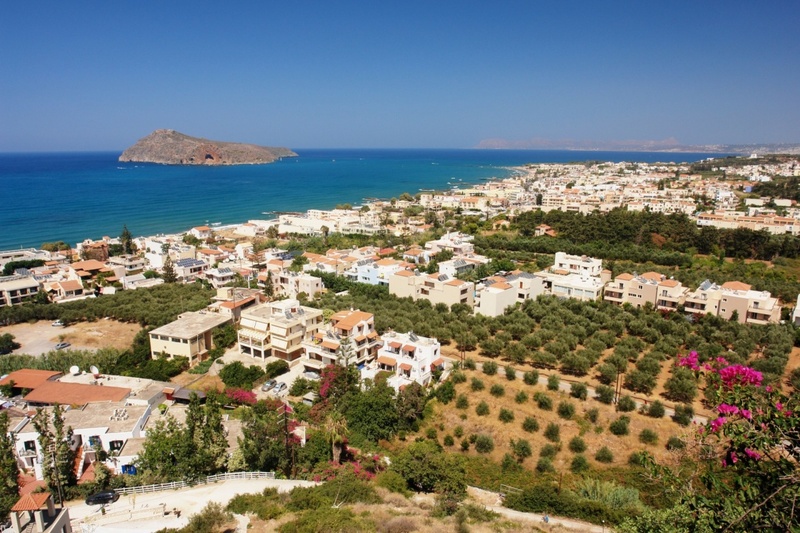 Platanias is located on the west of Chania City in a distance of 11 km. This seaside town built along the seashore has two so different parts coexisting and creating this unique holiday destination. From one side the resort along the seafront offering all kind of comforts to its visitors and from the other side the rather quieter part offering you tranquility and peace of mind. Platanias is a coastal village with several kilometers of sandy beach, stretching from the village to both the east and west and is the ideal destination if you are a sea lover and wish to enjoy the summer above all. Clubs, bars, restaurants and cafes line the beach and will assist your every need whether you wish to have your coffee under your umbrella or you wish to enjoy an unforgettable meal in one of the numerous Greek taverns. Whether you are travelling with your family and you wish to unwind and enjoy your time off work with your kids or you are on holiday with your other half or your favorite group of friends, Platanias beach is ideal for swimming. Besides the area is offering you the chance to practice your favorite activities from water sports to mini golf and of course a number of activities that you will find available for your beloved children. The village of Ano Platanias is located on the hilltop overlooking Kato Platanias, the resort along the seafront that annually attracts visitors from all over the world for its unique beauty. If you are staying in a beach resort visit the old village and discover its quietness and tranquility before taking the way back to the busy area of Platanias. Cease the chance that you get to visit Chania for a one way trip to see the picturesque Venetian harbor and enjoy your coffee at the bustling Eleftherios Venizelos Square in the heart of the old town. Find information about selected Hotels, apartments and rooms in Platanias to choose the perfect place for your accommodation.